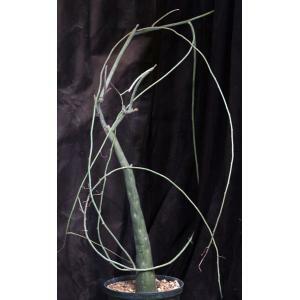 From Yemen and East Africa (Somalia through Tanzania), this species has a conical caudex up to three-four feet tall. 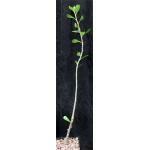 The leaves are deeply lobed, and the flowers of this dioecious species are small and cream colored. The fruit are striped with two shades of green. The woody vines arise from the caudex; we recommend trimming the vines, not the caudex, of this species. These plants are seedlings in 3-gallon pots. In order to ship plants of this size, we may trim some of those vines in order to fit the plant into a box.